The National Federation of State High School Associations is the body that writes the rules of competition for most high school sports and activities in the United States. rSchoolToday provides a very powerful Web calendar for the whole school or district, and can share schedules intelligently across your whole Conference or League. 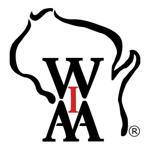 The Wisconsin Interscholastic Athletic Association is the regulatory body for all high school sports in Wisconsin. WSN, also known as wissports.net, is the number one site for high school football, basketball, baseball, softball, volleyball, and soccer coverage in Wisconsin.